As one of the world’s largest cities, Shanghai can be an overwhelming place to figure out where to live. Some districts boast sprawling botanical gardens and green parks, while others are hotbeds of nightlife and culture. In this article, we’ll teach you what to expect before you rent and how to find a neighborhood that’s best for you, whether you’re in Shanghai for study, business or play. Shanghai can largely be broken up into three main areas: Downtown Puxi, Pudong, and the outer districts, or suburbs. Downtown Puxi’s favored districts are Huangpu, Jing’an and Xuhui -- great comfortable living for expats and local alike. Naturally, apartment prices rise the more centrally located you are, and the more nicely renovated your French Concession lane house is. However, what you get in return is access to beautiful leafy streets and Shanghai’s finest cafes, bars and restaurants. You can’t go wrong in neighborhoods like Jing’An Temple, Xujiahui, Zhongshan Park and Nanjing West Road. They are so central they each have their own metro stop, and are near many offices and malls for added convenience. When you think of Shanghai, you think of Lujiazui, home to the iconic skyline. If you’re here for work, you will probably end up in Pudong District’s Lujiazui from time to time, Shanghai’s Central Business District. Lujiazui doesn’t just give Shanghai it’s iconic skyline, but is an active hub for trade, finance and international business. Pudong District also gives apartment renters more space. Not just with parks in every apartment complex, and Shanghai’s largest Century Park, but with ample square footage to rent at prices more fair than downtown Puxi. As the area continues to develop rapidly, you can find well-priced high-rise apartments and shopping centers with all of your favorite restaurants from downtown – but bigger! To find the best real estate deal, try Shanghai’s outer districts: Minhang to the west and south, Yangpu to the northeast or Baoshan to the north. In Minhang, you’ll find popular expat neighborhood Hongqiao with Laowai Jie – literally “foreigner street” – with many international restaurants and bars. In Koreatown, you’ll find Shanghai’s best Korean BBQ and fried chicken, and can stop at the Korean bath house next door. A large residential district, Minhang is also favored for its high-end international schools and neighborhoods resembling the American suburbs. Yangpu is known as Shanghai’s center of education with three of China’s highest ranking universities: Fudan, Tongji and University of Shanghai for Science and Technology. Many international universities create sister campuses here as well, making Yangpu District a welcoming community for young academics from all over the world. The renters market in Shanghai may have different rules than those of other countries, or even other cities in China. For instance, it’s common to pay a 1 month deposit and 3 months rent at a time. That means on move-in day, you might need to have four months of rent prepared to pay at once. If you find you need to leave your contract earlier than expected, it’s common to get your deposit returned, as long as you help your landlord find a new tenant to take over your lease. However if you use a platform like Wellcee, we can quickly help you find a substitute. But the best tip we can give when looking for an apartment is to be careful and notice any red flags. Always look at the apartment in person before you transfer any money. Make sure you can receive a contract in English so you can read through it carefully – or have a Chinese friend help you read a Chinese contract. Check for fake walls – living rooms that have been converted into a bedroom with a new, thin wall – these are illegal and can pose as a fire hazard. And make sure your agent comes from a legal, reliable real estate agency. 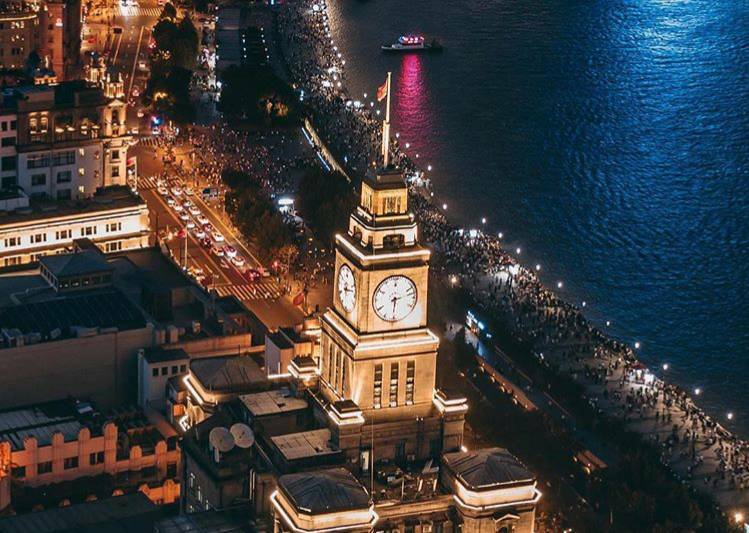 No matter where you choose to live, your time in Shanghai will be marked by great food, fun and community. While it can be daunting to find a new apartment with friendly roommates, Wellcee is here to help. With Wellcee, we can help you find more than a place to live, but a community to call home. Wellcee residents come from all over the world and have a range of passions and interests. Most of our residents are fluent English speakers, even the Chinese natives, who are great roommates if you want to practice your Chinese too. And it’s a good way to make friends from all over the world – Wellcee residents come from more than 120 countries! With Wellcee, you get peace of mind. We aren’t agents, and we don’t charge agency fees. We’re just here to provide a platform to find a great place to live, to link with great people. No matter what you’re looking for, Wellcee will help you find a place that you can call home.